Sekiro: Shadows Die Twice may be a Souls game, but it’s rules are very different from its brethren. And regardless of whether you’re a veteran or a newcomer, it’ll take some time to understand what your limits are. Which means, just like any From Software game, you’re going to struggle and die. A lot. That’s why our beginner’s guide is here to help you through the early hours. 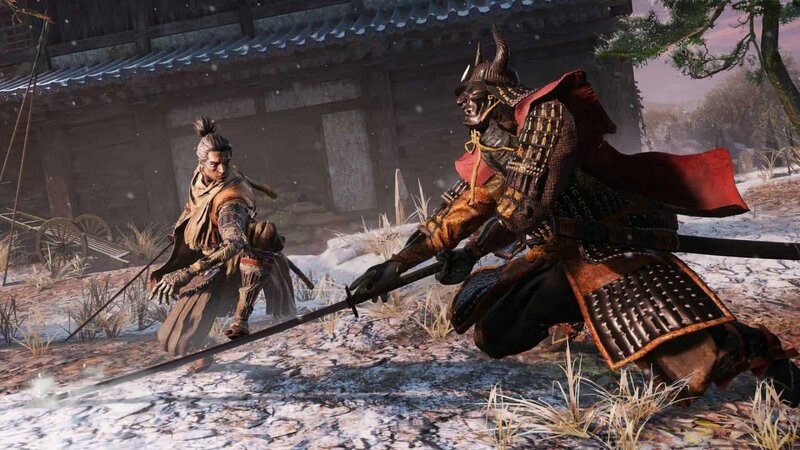 Here, you’ll find basic tips and tricks for getting started in Sekiro, as well as some answers to the more common problems you may encounter. 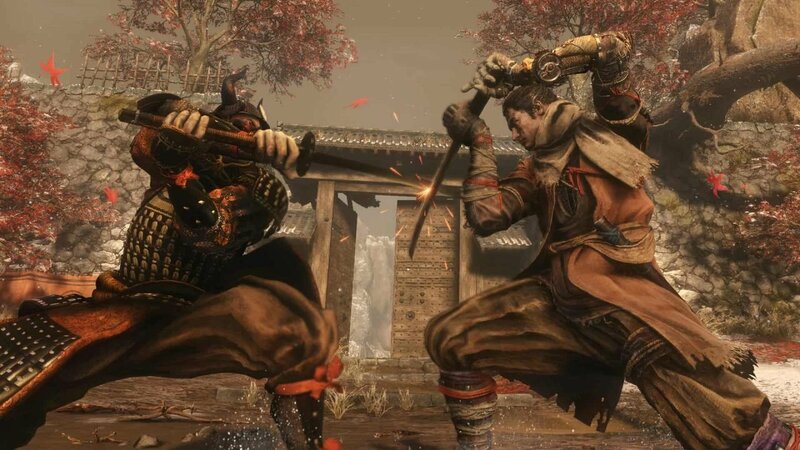 While enemies in Sekiro have health bars, what’s more important in most fights is the Posture meter. Every enemy and character, including yourself, has a Posture bar that increases when they block an attack. If Posture is filled, the character’s defence breaks for a moment and they become susceptible to a Deathblow, which almost always kills an enemy. Stronger opponents may require multiple Deathblows to die, which is indicated by red dots in the upper left corner of the screen. Understanding how Posture works is key to surviving and thriving in Sekiro. You don’t want your posture to break, so you have to keep an eye on your own meter to see when it’s time to back off from a fight. If an enemy’s Posture fills up quickly, then take it as a sign to repeatedly swing at them without worrying about deflecting an attack. Conversely, most enemies Posture fills up more quickly if you deflect an attack, and knowing the timing on when to deflect is easily the most important information you can learn. 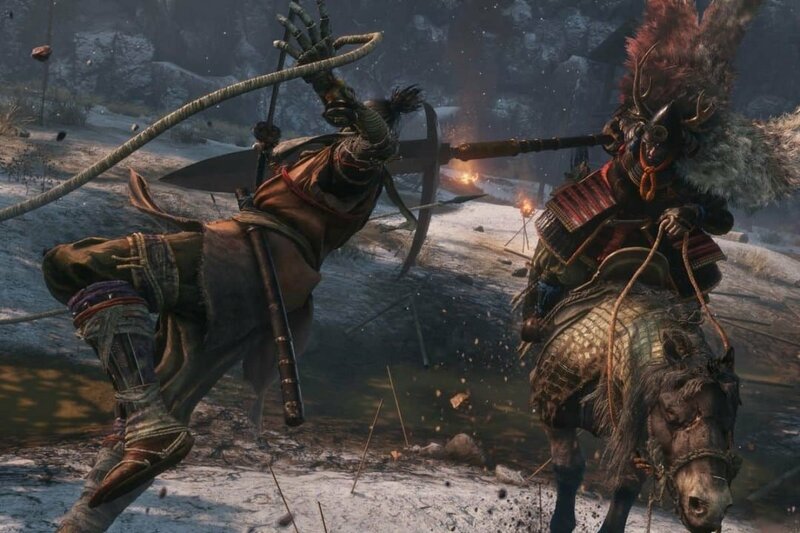 In Sekiro, it is almost always better to parry an attack than it is to dodge. But sometimes, a red Kanji symbol will appear as an enemy winds up a special attack. These attacks are unblockable, and you must either dodge out of the way or interrupt the attack to prevent a ton of damage. Interrupting an attack is difficult, so dodging is the way to go most of the time. And remember, jumping also counts as a dodge, and is particularly great for avoiding attacks that are low to the ground. 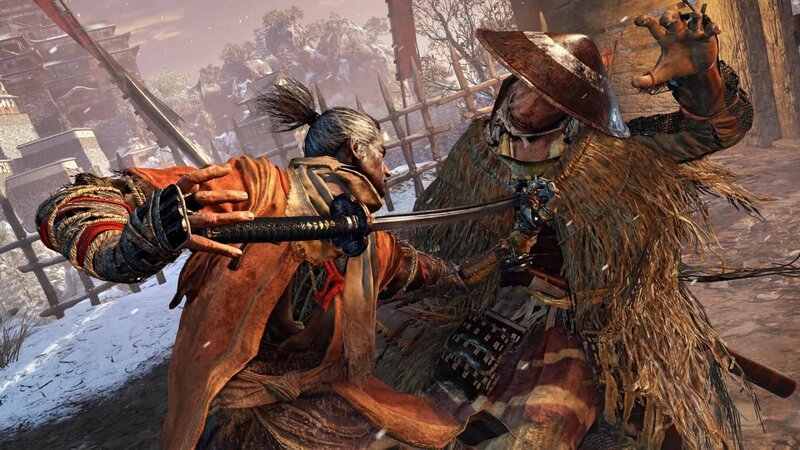 Though Sekiro features stealth, you won’t be able to go through the entire game without confronting and defeating most of the enemies in your path. However, that doesn’t mean stealth isn’t a useful tool. In fact, it’s easily the best method to begin fights, as pulling off the all-important Deathblows without breaking an opponent’s posture is an incredibly strong tactic. Look for large patches of grass or flowers to hide in, as they often lead to paths that let you circle around enemies for potent backstabs. Likewise, grappling up buildings and cliffs will let you literally get the drop on enemies who may otherwise spot from a mile away if you confront them head-on. By thinning out the enemies ranks by sneaking around, you’ll be able to avoid being swarmed and mercilessly assaulted. Furthermore, you know those powerful mini-bosses that pepper each area? Many are just as vulnerable to stealth attacks as their weaker minions, and getting Deathblow before a fight even begins will drastically increase the odds in your favour. No matter how well you prepare for a battle, sometimes things just won’t go your way. Maybe there were reinforcements that you didn’t know about, or maybe that new enemy charging at you is something you were completely unprepared to deal with. Whatever the case, you don’t have to stand your ground and die in vain. Instead, make a hasty retreat. Thanks to the grappling hook, stealth, and your speed, running away from a fight is actually a viable tactic. Most enemies won’t be climbing after you if you jump up a tower, and if you run far enough away, they’ll go back to their regular patrol patterns. Take this time to reflect on what went wrong, lick your wounds, and come up with a new strategy. 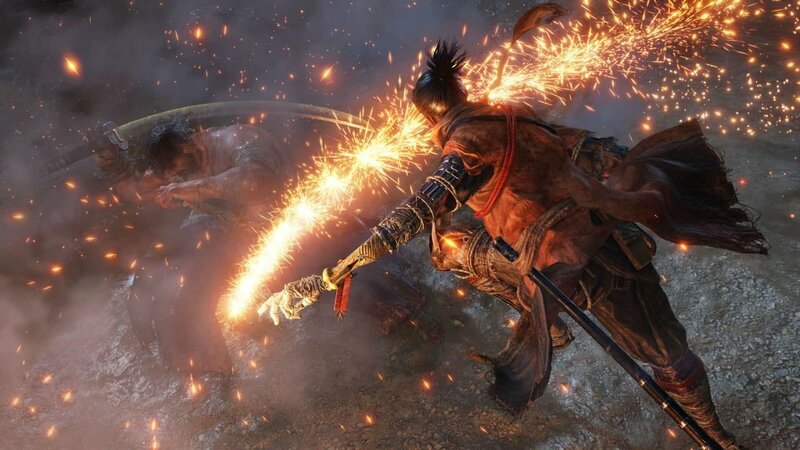 Fights in Sekiro are rarely fair, so why shouldn’t you take advantage of the world around you? When exploring the world, you’ll occasionally be able to eavesdrop on talking enemies. Do this whenever you can, because you’ll learn important information that could just save your life. Some enemies will talk about a strange item they found locked in a house, while others will inadvertently reveal a key weakness for a, particularly tough enemy. You’ll know if you’ve already eavesdropped on a conversation by a checkmark that appears next to the prompt, and you’ll be able to repeat them at your leisure if you forgot what a specific discussion was about. After you’ve died several times in Sekiro, you’ll discover that a sickness called Dragonrot will begin to affect NPC’s throughout the world. If a character has Dragonrot, you won’t be able to use their services or continue their side quests if they have one. Considering that the Sculptor is the first to be affected, curing Dragonrot should be a priority. If you talk to Emma, she’ll ask you to find someone’s blood sample so that she can develop a treatment. Inosuke and Inosuke’s Mother will eventually develop Dragonrot after you die some more, at which point you can take a sample from one of them. Emma will then give you a Dragon’s Blood Droplet, which will cure Dragonrot from those afflicted. However, Dragonrot will return provided you keep dying. Dragon’s Blood Droplets can be bought off merchants infinite amounts, as well as found in the environment. Because they’re tough to come by, you should save Dragon’s Blood Droplets for when you really need them, and not when you’re dying to a boss over and over again. The Shinobi Prosthetic is your best friend. While it starts off with only a shuriken launcher, it won’t be long before you find several other tools that will grant you additional options for dealing with enemies. Spirit Emblems are easy to come by, and you shouldn’t hold back in using many of these powerful tools to get the leg up on enemies. Feel free to experiment with what each tool can do, such as launching shurikens at airborne enemies, or using the Loaded Axe to smash through an opponent’s armour. Of course, you’ll have to find each tool first before you can bring it to bear. Explore the early game areas thoroughly, because that is where many of the most useful devices can be found. For example, if you’re up for some climbing, there’s a merchant shortly after the first mini-boss of Ashina Outskirts who is more than happy to provide you with an explosive new tool for the right price. Keep an eye out for upgrade materials while you’re at it, because it will be some time before you’ll be able to purchase many of the more common materials needed to improve the Prosthetic.